It’s 1908 and Leah and her boys have immigrated to New York’s Lower East Side to live with her brothers after surviving a pogrom in their Russian village. She is determined to find a home in America but the conditions are harsher than she expected. The garment sweat shops are brutal to work in and it’s essential that her son Benny works after school to help with expenses. Unbeknownst to her he runs errands for the local bookie/gangster. Life isn’t what Leah hoped for, but she’s a fighter and not willing to accept the awful conditions at Wollowitz’s Factory. She’s on a journey to find her own voice, to find a place for herself and her sons, to find a little beauty and romance in her life. 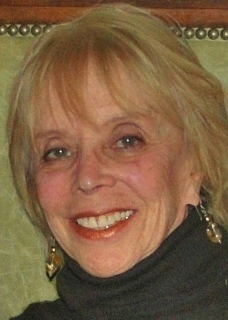 Beverly Magid, before writing her novel, was a journalist and an entertainment and celebrity PR executive, who interviewed many luminaries, including John Lennon, Jim Croce and the Monty Python gang, and as a publicist represented clients in music, tv and film, ranging from Whoopi Goldberg, John Denver and Dolly Parton to Tom Skerritt, Martin Landau, Kathy Ireland and Jacqueline Bisset. Beverly is a longtime west coast resident who still considers herself a New Yorker. Among the social issues she’s passionate about is literacy and she worked with KorehLA to mentor elementary children in reading. Also she has been an advocate for Jewish World Watch, an organization dedicated to working against genocide and to aid the victims of war atrocities. On a lighter side, she is also a volunteer at the Los Angeles Zoo, monitoring animal behavior for their Research Department. For more information, please visit Beverly Magid’s website. You can also find her on Facebook, Twitter, and Goodreads. 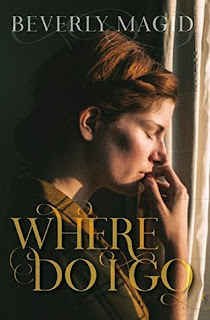 During the Book Blast we will be giving away a signed copy of WHERE DO I GO! – Giveaway ends at 11:59pm EST on February 2nd. You must be 18 or older to enter.